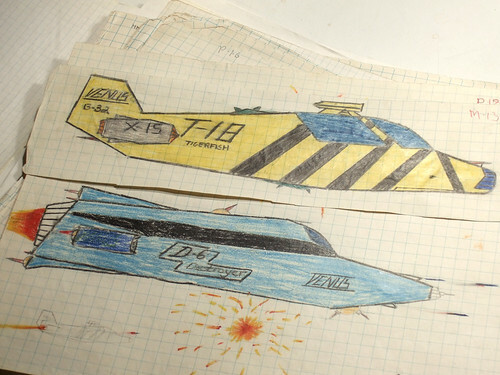 In 1979, a couple of kids had brought back these super glossy books filled with spaceship paintings. The entire 5th grade male population was caught up in drawing spaceships for the next few weeks. I tried to draw something and use color, but was incredibly disappointed with the results because I had no idea how to shade things or draw shapes that looked cool. After this I went to drawing plan view and just with pencil.